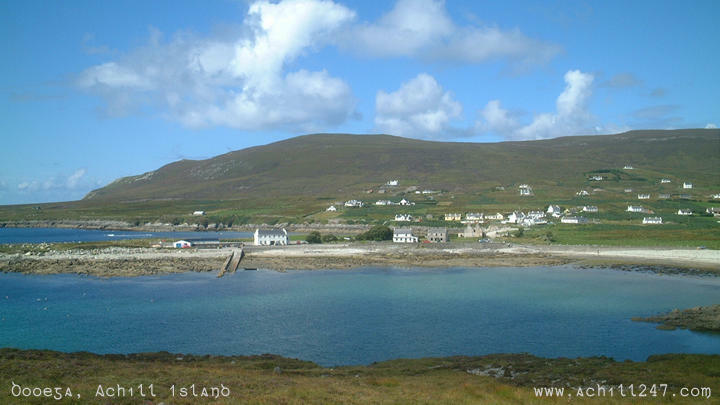 This image in our series of Ireland pictures shows the beautiful bay and village of Dooega (Dumhach Éige) on Achill Island. Situated at a sheltered bay on Achill's 'Atlantic Drive', Dooega was until recently a Gaelic-speaking area and still hosts a summer outdoor activity school for children that is conducted in Irish. For details of the outdoor activity centre at Dooega, visit the Coláiste web site.